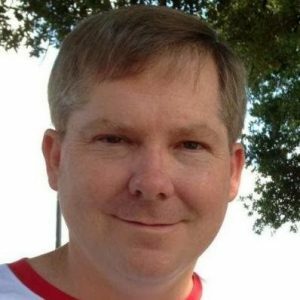 John Athayde and his collaborators on Patchvault.org are ready to turn back control of Order of the Arrow memorabilia listing to the people. 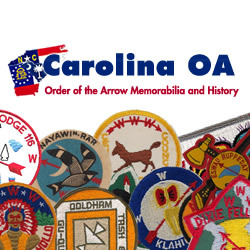 With a background in software and a core group of collectors supporting the effort they have expanded the site from it’s roots as Virginia OA specific to now include about 70 lodges. What sets this site apart is the quality of the work. Their guiding rule is that a picture is the best representation of a patch. In this interview John gives the history of the project and invites others to jump in. 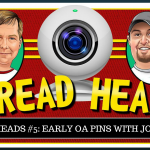 Listen to “#86 Patchvault.org Interview With John Athayde” on Spreaker. * Mobile focus from day 1. Designed with “responsive” style sheets, so the same page renders well on a phone or a computer. * 20 years ago, mobile phones and networks couldn’t handle this stuff. You could barely get a laptop online without an Ethernet drop. When I was doing photos in 96 in arch school, it was on slide film with fancy setups used for photographing books. * Now tech is capable of working in your hand with your collections, especially at Conclaves, Trade-O-Rees, etc. You just bought that patch? Awesome. Add it to your collection, note the date and price and other details and private notes. * Not making a category for everything, but common items like pins, slides, bolos, mugs, etc. * Some examples, e.g. Kecoughtan 463, where a decal on a mug was the “event” issue. No patch exists. * Lodges are in charge of their listings. If the lodge decides to change something, that’s their prerogative. For merged lodges, we tend to look to the child lodge for guidance. In most cases, the main collectors of the older lodges are there. * In some cases, where merged lodges are effectively abandoned or not collected, we go with consensus. * A lot of the previous sites suffered from the tech of the era. Low DPI, color shifts, lighting issues, etc. Even taking pictures now with my high end Canon 5D MK IV still gets me a grain that I don’t get on the scanner. 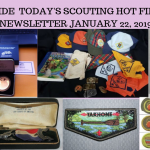 * In many cases providing the finished images back to the lodge for print histories (each image can be printed at 300DPI on a letter sheet) – Shenandoah 258 is doing this for the printed lodge history they’re working on right now. * Glenn, Todd, and myself are all able to help editors, but we’ve had most editors able to do the Photoshop work themselves. You can get Photoshop for $10 a month now, instead of the 500+ investment it used to be. E.g. with Allohak Menewi, Neil Morton provided most of the scans and Todd processed them. Similarly with Tonkawa (Trey Walls with Glenn processing) and Delmont (Rich Turner with Glenn processing). Larry Johnson is often scanning SR-7A stuff he acquires, as he has one of the most extensive collections in VA, and I’ve processed a lot of those. * People can still add their own images, and with some rare patches (e.g. 258 events) we’ve had trouble tracking down, we have that in the additional images. * Still in Beta * Launched 50 lodges last year. 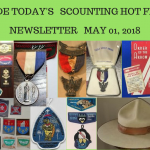 * Have been updating our lodge data from Dave Scocca’s work. Have done roughly 1-100. * Generate custom PDFs of collections, needs lists, and dupes lists. * Also print out a PDF checklist of a lodge with full color images. * Anyone with an account can add images to an issue or comment on issues. 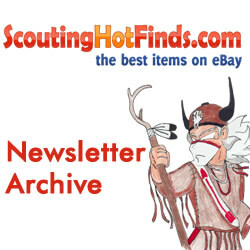 * A Scout is Trustworthy but the Internet is not, so we require the account to put content on the site. * Very detailed roadmap using modern web development techniques and tools. * Todd’s looking into Camp stuff and trying to figure out a way to catalog things that isn’t a free-for-all. * Sections is definitely on the road map, but needs a lot of data. We’ve talked with OA Sections about partnering, but haven’t moved forward yet. * Also looking at something where we’d have Events, so you could say “Show me the 2017 SR-7A Conclave” and it’s got issues attached from 6 lodges and the section itself.